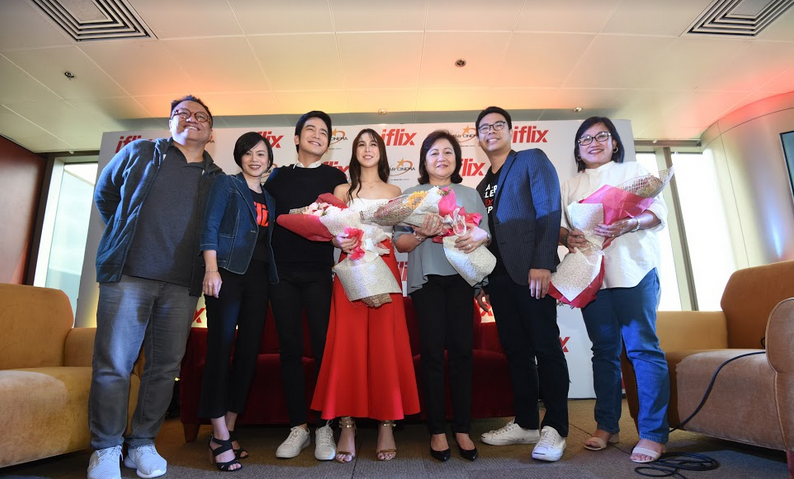 Fresh off the cinema - the blockbuster romantic comedy starring Julia Barretto and Joshua Garcia will premiere exclusively on iflix, two months after its cinematic release. MANILA, 24 October 2017– iflix, the world’s leading entertainment service for emerging markets, is thrilled to announce it has acquired exclusive SVOD rights to Star Cinema’s latest box office hit, Love You to the Stars and Back. Starting October 30, iflix subscribers in the Philippines will be able to stream and download the latest romantic comedy offering from Star Cinema, unscheduled and on their own terms. Written and directed by Antoinette Jadaone, Love You to the Stars and Back follows a young woman (Julia Barretto), who forms a bond with a terminally ill young man (Joshua Garcia) while on a road trip. The critically acclaimed film grossed PHP 60 million just a week after its cinematic premiere in the Philippines last August, and continued to debut at select cinemas in the United States, Canada, Australia and New Zealand in September. “Localisation drives iflix’s success, and we commit to continue to bring our consumers a wide variety of top content as we provide Filipinos with a new way to experience entertainment - affordable, convenient and on demand,” she added. Now available to over one billion consumers across 23 territories throughout Asia, the Middle East and Africa, iflix has established itself as the clear market leader in video streaming. Offering consumers, a vast library of top Hollywood, Asian and Middle Eastern regional, and local TV shows and movies, including many first run exclusives and award-winning programs, each subscription allows users to access the service on up to five devices, including phones, laptops, tablets, and television sets, for viewing wherever, whenever. iflix is currently available to consumers in Malaysia, Indonesia, the Philippines, Thailand, Brunei, Sri Lanka, Pakistan, Myanmar, Vietnam, the Maldives, Kuwait, Bahrain, Saudi Arabia, Jordan, Iraq, Lebanon, Egypt, Sudan, Cambodia, Nigeria, Kenya, Ghana and Nepal. Founded in 1993, ABS-CBN Film Productions, Inc. (Star Cinema), is the foremost Filipino film production and distribution outfit. The company has produced more than 200 films in various genres, all of which are geared to suit the preferences of Filipinos of all ages and walks of life wherever they may be in the world. To date, ABS-CBN Film Productions, Inc. has captured more than 65% of the market share. More than half of the company's total releases has reached and exceeded the 100M mark in the box office. Of the top 10 highest-grossing Filipino movies of all time, ABS-CBN Film Productions, Inc's films occupy all the 10 slots, proving its leadership and dominance in the industry. ABS-CBN Film Productions, Inc. aims to deliver quality film entertainment to the Filipino moviegoer while strengthening market leadership, profitability, and internal organization. Like its mother company, ABS-CBN, ABS-CBN Film Productions, Inc. is committed to be in the service of the Filipino worldwide.